This site was insignificant until Herod the Great began to develop it into a magnificent harbor befitting his kingdom. The harbor was built using materials that would allow the concrete to harden underwater. The forty-acre harbor would accommodate 300 ships, much larger than the modern harbor existing today. 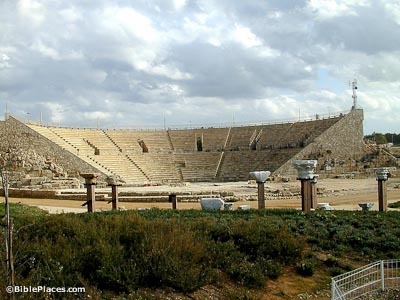 Herod the Great also constructed a theater with a seating capacity of 3,500. According to Josephus, this is where the death of Herod Agrippa occurred, as recounted in Acts 12. The theater was covered with a skin covering (vellum), and visitors probably brought cushions with them to soften the stone seats. Josephus called this a “most magnificent palace” that Herod the Great built on a promontory jutting out into the waters of Caesarea. The pool in the center was nearly Olympic in size, and was filled with fresh water. A statue once stood in the center. Paul may have been imprisoned on the grounds of this palace (Acts 23:35). The lack of fresh water at Herod’s new city required a lengthy aqueduct to bring water from springs at the base of Mount Carmel nearly ten miles away. In order that the water would flow by the pull of gravity, the aqueduct was built on arches and the gradient was carefully measured. Later Hadrian and the Crusaders would attach additional channels to Herod’s aqueduct. Caesarea: From Roman City to Crusader Fortress (Israel MFA) Contains sections highlighting the Roman, Byzantine, Arab, and Crusader periods in the history of the site. Includes several pictures alongside relevant text. A copy of this page is available at the Jewish Virtual Library. Caesarea (Walking in Their Sandals) Gives easy-to-read information on the location, biblical significance, etc. Features links to photographs and on-line scripture references. 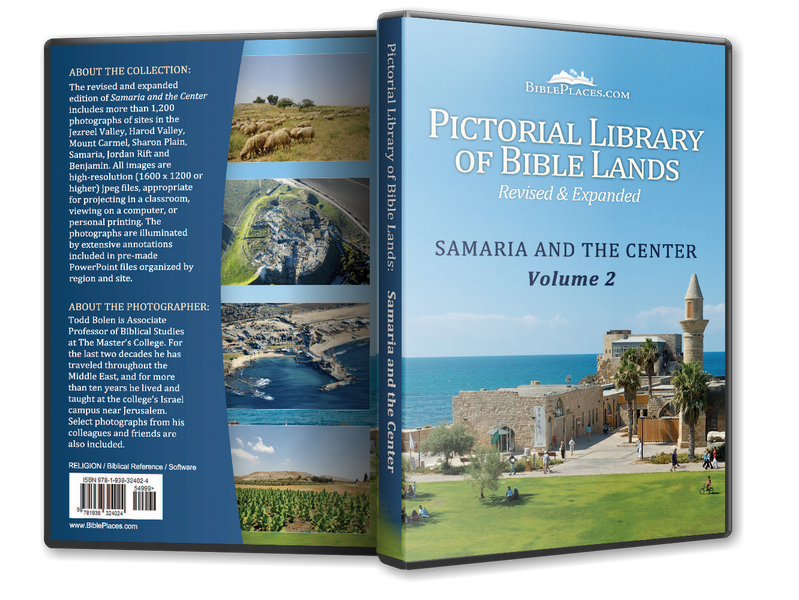 Caesarea (Christian Travel Study Program) Features several good pictures with excellent identifying captions, accompanied by text highlighting interesting features of the region. Caesarea Maritima (BibArch.com) Features informative links within the text to other relevant articles within the site and a “words and phrases glossary.” Also offers a “Scripture Summary” section. Caesarea Maritima (Into His Own) A brief, encyclopedia-type article with multiple links to related topics for further study. Caesarea (WebBible Encyclopedia, ChristianAnswers.Net) Interests the reader with both physically and biblically descriptive facts, including internal links to related topics. Caesarea Maritima (PBS.org) Utilizes information gathered for a special series on PBS’ Frontlineon the rise of Christianity. 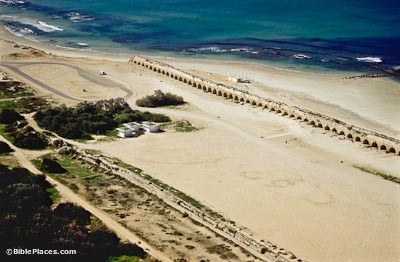 Text follows the development of Caesarea throughout the first few centuries. Caesarea Maritima in Israel (The Church of Christ in Zion, IL, by David Padfield) Spotlights “one of the most important cities in Israel during the time of Christ,” reviewing its significance in New Testament times and following historical periods. Also discusses relevant biblical passages and highlights items of archaeological interest. Includes links to the author’s pictures throughout the text. 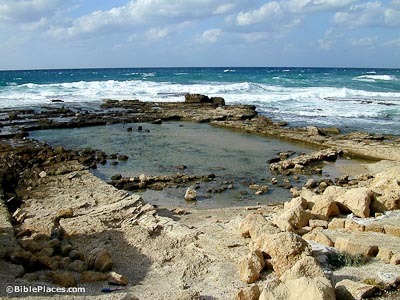 Caesarea (Crystalinks) Reviews the historical and archaeological importance of this site with unique attention to interesting historical details. Caesarea (Unbound Bible) Briefly highlights the Acts 18 passage which mentions the city and the importance of the seaport in Roman times. No pictures. Sebastos-Virtual Caesarea Maritima (Personal Page) An extremely detailed page with a click-able map which takes you to primary sources, pictures, and links pertaining to various parts of the city. Offers opportunity for fairly extensive research on this site. Caesarea (Personal Page) Limited text, but site features several excellent unique pictures. Caesarea (Personal Page, Journeys of Paul) Offers a brief glimpse of Caesarea in the context of Paul’s third missionary journey. What is Underwater Archaeology? (Nordic Underwater Archaeology) Introduces the concept of underwater archaeology for those more interested in the methods being used in Caesarea. 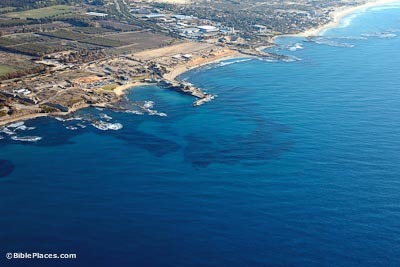 Caesarea, Archaeology in Israel (Jewish Magazine) Provides the historic background of the city and its aqueduct, theatre, city walls and harbor .